Jack has hurt his best friend, so badly that nobody wants to be around him any longer and he doesn't have anyone left. He's trying to make things right, but he isn't sure he can ever make up for what he's done. Still, his baseball career depends on the person he screwed over and the question is if he'll be given another chance. He's all alone and it's because of one single moment. Will he ever find happiness again? When Lola meets Jack she doesn't want to feel any attraction because she knows what he's done. However, Jack is nicer than she initially thought he would be and he gets along well with her sons. While her children might love him, it's a lot more difficult for Jack to win Lola over. She knows about Jack's mistakes, will she be prepared to give him a shot and will her future look bright again after many years of heartache? 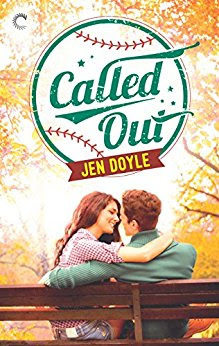 Called Out is a wonderful romantic story. Jack has done something many people would consider unforgivable. He's trying to make things right and his attitude is admirable. He's a kindhearted guy who made a big mistake and I wanted him to get back some love and friendliness in his life again. Lola is a strong woman with a good head on her shoulders. She's a single mother and her resilience and fierceness are fantastic. She and Jack have plenty of chemistry and I kept hoping they'd find their happily ever after. I couldn't turn the pages quickly enough to find out. 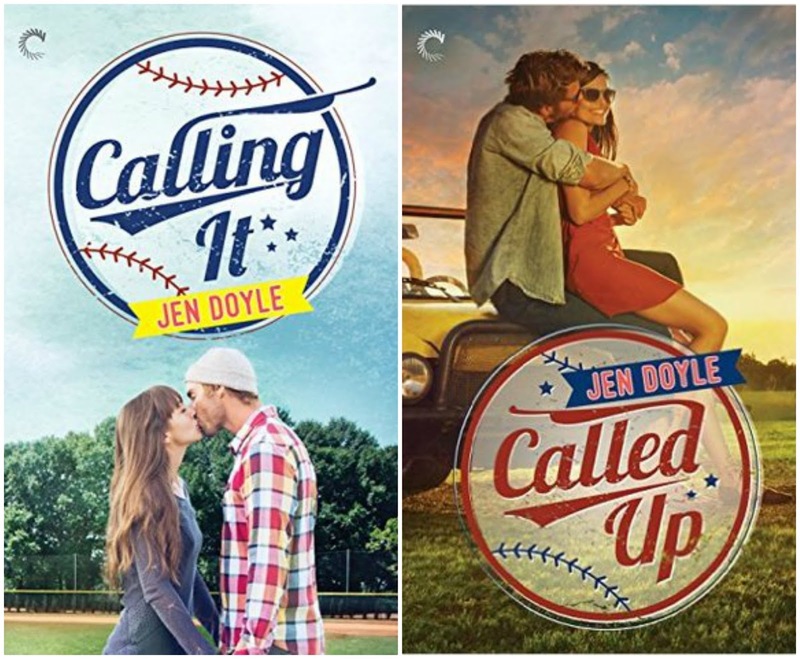 Jen Doyle writes about gorgeous athletic men in a fabulous way. 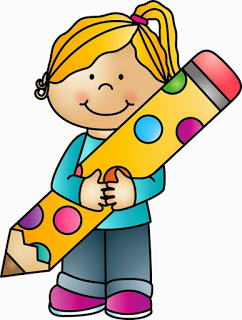 Her writing has a nice and easy flow and her descriptions are vivid and lively. Her characters form really special bonds that always manage to make me smile. I like that a lot about her work. She doesn't stay away from the difficult parts of life either and therefore when her characters do find love it's even more amazing. I highly recommend Called Out, it's a terrific endearing and mesmerizing story. If you love romance about athletes you will definitely like the Calling It series. The books can all be read as standalones. Bobby and Jayne have lost so much and being together hurts very much, which is why Jayne is keeping her distance. They've been together for a long time and because she's the love of his life Bobby can't let her go without a fight. Will he be able to win back the heart of the woman he's adored for as long as he can remember? Last Call is a beautiful moving story. I could easily feel the grief and the despair Bobby and Jayne have to deal with. Jen Doyle doesn't need many words to write a deep story. I loved the emphatic and honest way she describes the feelings of her main characters. I hoped that Bobby's love for Jayne would bring her back to him. Her feelings are unpredictable and it was interesting to find out what she would decide. It all comes together in a beautiful way and the ending made me tear up. 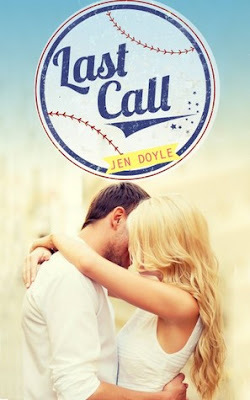 Jen Doyle has put so much emotion into Last Call and that makes it really impressive. 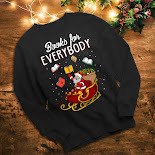 I like the way she makes sure her readers get to know her characters through and through and she makes it possible to see what's inside their hearts. Last Call is a short story, but it is a story that will stay with me for a long time. Last Call is part of the Calling It series, but can easily be read as a standalone. 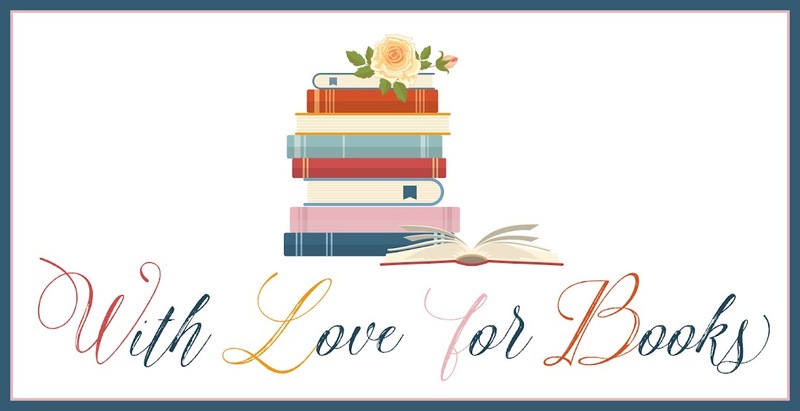 It's perfect for readers who like emotional love stories. Maggie left St. Helena years ago, but comes back every year for Crush, the grape harvest. Secretly she's been meeting Alejandro during those days for years. They're together at this time every year, but something suddenly has changed between them. Maggie is a successful business woman, but when Alejandro is around she's shy. Alejandro doesn't want to stay hidden in the shadows any longer and is looking for more. Will he find his happily ever after with the woman he's been secretly seeing for just a few days each year? Maggie and Alejandro have liked each other since high school. However, they never managed to become a couple. They're both intelligent and great at what they do, but something is missing in their lives, someone to share their ups and downs with. I loved how they slowly realize they belong together and I was so curious to see if they'd become a couple that I read their story in one sitting. Maggie and Alejandro are amazing together and there's plenty of chemistry, which is why I liked their story a lot. I loved reading about the St. Helena vineyards. It's a wonderful place for a romantic story. Jen Doyle makes it come to life very well with vivid descriptions of the town itself and its rituals. I immediately fell in love with the setting and the main characters are fabulous. It's a fantastic combination and the result is a lovely sweet romantic story. If you love stories about high school crushes who find each other again later in life Crush would be an excellent choice. Beth needs a change and St. Helena is the place where she hopes to be happy again. When during a walk she twists her ankle Drew comes to her rescue. They seem to be getting along, but after telling Beth who he is and what he does she suddenly gives him the cold shoulder. Why is Beth treating him this way and will she eventually be willing to give him a chance? Beth has been hurt very much in the past and my heart ached for what she had to go through. Drew has a reputation, he's supposed to be the town's bad boy, but he's tried hard to do good work and make a name for himself. Beth and Drew are incredibly sweet together. Beth wants to stay away from him at first, but that isn't a good decision at all. They show each other their vulnerabilities, but the past keeps getting in their way. I kept hoping Drew would be able to break down Beth's walls, they're such a good match and they both deserve a chance at happiness after everything that happened to them. Breathe is a wonderful romantic story. I loved the connection between Beth and Drew and liked the way Jen Doyle describes their emotions a lot. The story isn't long, but it still has a good amount of depth. The setting is stunning and it was fun to read about the St. Helena Vineyards again. 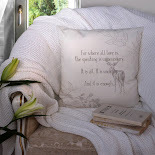 It's a fabulous place for stories about true love. Breathe is an amazing story and I really enjoyed reading it. If you love reading stories about difficult starts and second chances you will definitely like Breathe. 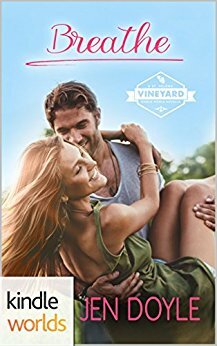 It's the second story in the St. Helena Vineyard series, but can easily be read as a standalone. 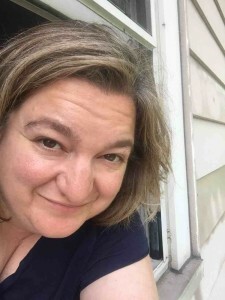 Her first book, CALLING IT, was published by Carina Press in 2016. In its previous iteration as THE DREAM, it was the winner of The Beacon, the Finish the Damn Book, and the Melody of Love 2014 contests in the Contemporary Romance category, and was also the Contemporary Romance winner as well as the Grand Prize Winner of the 2014 Gateway to the Best contest. One very lucky winner of With Love for Books will receive kindle copies of the first two books of the Calling It series, Calling It and Called Up. I love romances about athletes so the Calling It series sound like must-read books. This is a new author for me so thank you for your honest reviews! First love stories and ones about overcoming difficulties do pull me in.